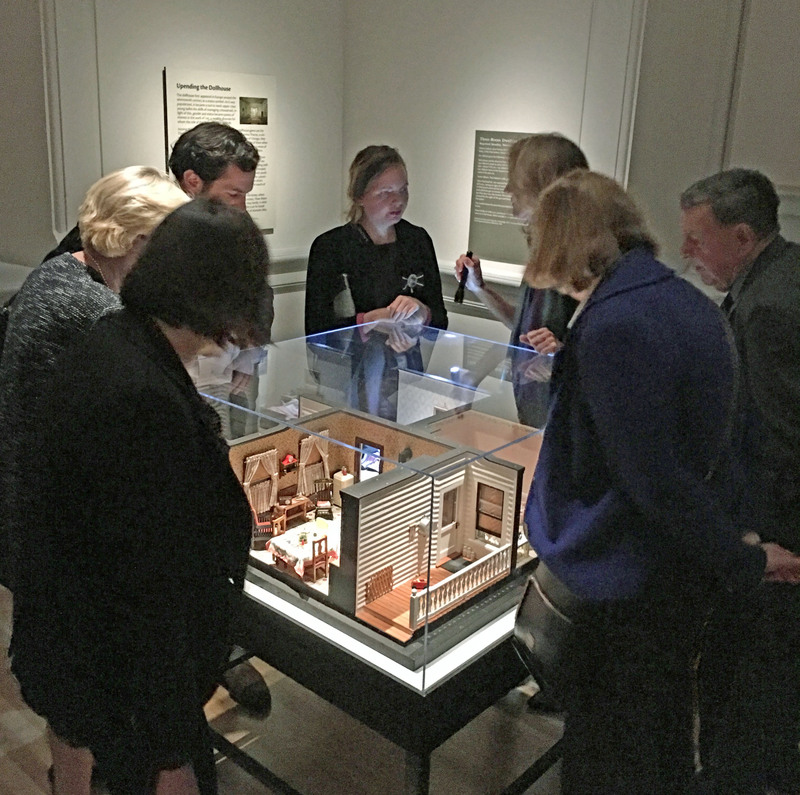 On October 19, 2017, I had the pleasure of attending the preview reception at the Renwick Gallery of the Smithsonian American Art Museum celebrating the opening of the exhibit Murder is Her Hobby: Frances Glessner Lee and The Nutshell Studies of Unexplained Death. The exhibit contains 19 meticulously detailed dollhouse-sized dioramas of unexplained death scenes used to train investigators since the 1940s. The Academy is honored to support the exhibit as a showcase of artistic works and as forensic tools. Frances Glessner Lee creating one of her meticulously detailed dioramas. Frances Glessner Lee, the first female police captain in the United States, was a pioneer in the field of death investigation. Using traditionally female crafting skills, she created the dioramas as instructional tools to advance the then male-dominated field of death investigation. 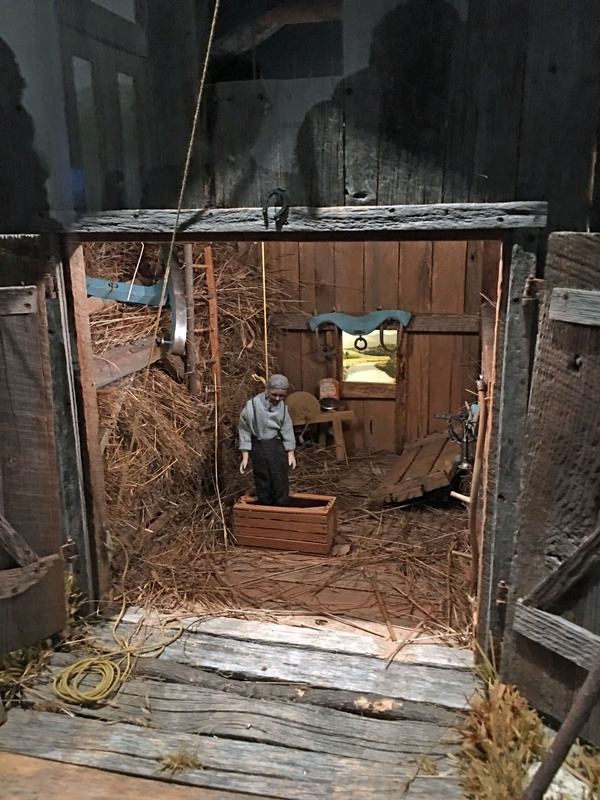 The “virtual reality” equivalents of the 1940s, the diorama composites allowed Lee to teach investigators how to canvass a crime scene and use their powers of observation and deduction to uncover clues and reach conclusions. Exhibit attendees viewing unexplained death scene dioramas. As the dioramas are still used as training devices, the “solutions” to the dioramas do not accompany the exhibit, but excerpts from the crime scene reports accompanying the dioramas provide context for visitors to look for probative evidence. For more information on Lee’s background and accomplishments see Sarah Zhang, “How a Gilded-Age Heiress Became the ‘Mother of Forensic Science’,” The Atlantic Daily, October 14, 2017: (https://www.theatlantic.com/science/archive/2017/10/nutshells-frances-glessner-lee/542757/). The exhibit is on display from October 20, 2017 through January 28, 2018, at the Renwick Gallery (Pennsylvania Avenue at 17th Street, NW, Washington, DC). “The Case of the Hanging Farmer” (1943-44).